We all want to enjoy our retirement, but with the current pension laws in a state of flux and the economy in turmoil, it’s difficult knowing how best to plan for our future. To live comfortably after retirement, a private pension is essential – unless you have another potential money pot such as an investment property – yet one in five people over 30 don’t have one. While pension experts say most of us hope for an annual income when we retire, and with the state pension worth around, that leaves those without pensions with a shortfall. Women are particularly at risk of a slim pension as we take career breaks to raise children, still earn less and have a longer life expectancy than men. So if you haven’t sorted out your pension yet, or need to top it up, it’s time to take actions…. Old age may seem a long way off, but now is the best time to start thinking about getting your finances together. Experts say that you should aim to save a somewhat unrealistic half to two-thirds of your salary, but Equity Invest advises that ‘if that isn’t possible, then a good rule of thumb is half your age as a percentage of your income, so if you’re 30 then aim for 15 per cent.’ Join your company pension or scheme or consider taking a private pension; a stakeholder pension is a great option for those who want a flexible payment plan, as it means you can pay in what, when you want. Remember to watch out for hidden charges. Typical costs for a company pension plan are 0.3 per cent of your investment, while private costs start anywhere between 1.5 per cent and three per cent. If You Only Do One Thing: Start researching which pension plan is right for you for free advice. If you want an income in retirement, including your full state pension, you need to build up a pension pot around’. This might seem like a massive sum but there are different factors to take into account which could affect the final amount, including whether you want to take a lump sum when you retire, if you want your pension to keep pace with inflation or any breaks in paying National Insurance (NI) contributions. The good news is the number of NI years needed to qualify for a full state pension is being reduced to 30 and it’s possible to plug gaps with extra contributions. Find out exactly how much you stand to receive and how much you need to invest in a private pension if it’s not enough. Now is the time to contact your pension provider for a forecast of what you are on course to receive. If you can, boost pension with additional contributions. ‘The children may no longer be at home and your mortgage repayments will usually be much less in relation to your income’. ‘If you haven’t started to save, it’s late in the day but there is still time. We suggest you aim to save as much as you can form your income, aiming for at least 30 per cent.’ Financing experts rather than upping pension provisions, as this way you don’t have to worry about rent or mortgage costs when you aren’t earning. If You Only Do One Thing : Don’t forget about any pensions you may have taken out with the previous employers. Visit the free pension-tracking services. Although it’s no longer compulsory, most people approaching retirement who have a private pension scheme will generally need to buy an annuity – a fixed payment system that converts their pension fund into a guaranteed income for life. The amount of your annuity will depend on the sum in your pension fund, but if you are think about the annuity to find the best deal. If you fall short of the weekly state pension because you haven’t paid enough NI credits, then look into Pension Credit to top up your pension. Pension Credit is an income-related benefit guarantee that any retired person over the age of 60 receives at least 142.67 pound a week and if you are a single and 217.90 pound a week for a couple. If You Only Do One Thing : Make sure you are getting all your entitlements – visit your local benefits office for details. Could you increase your pension? 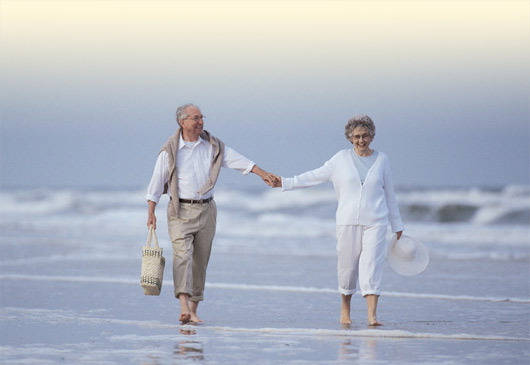 Statistics from the Office of Tax Simplification reveal about 4.9 million pensioners are currently not fully using their personal allowance, paying tax on some of their pensions or investments, which could be avoided by splitting them between themselves and their partner. If this applies to you, it makes a real sense to divide assets equally so both you and your partner benefits from the tax-free personal allowance.